Thank You Runners! Hope to see you in 2019! 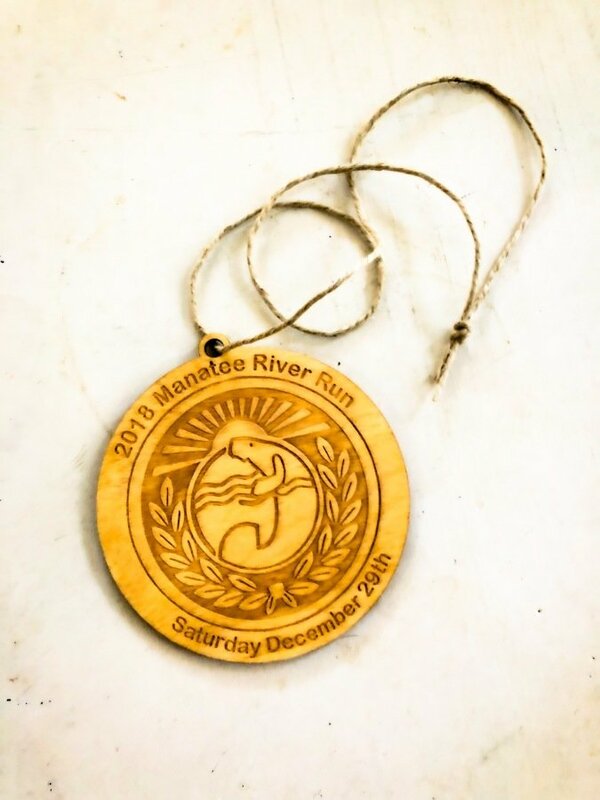 Additional Manatee River Run 5 Mile State Championship information can be found at http://bradentonrunnersclub.com/event/manatee-river-run/. Racing Series Reminder! This is the final race in the BRC Racing Series! It's not over until it's over! 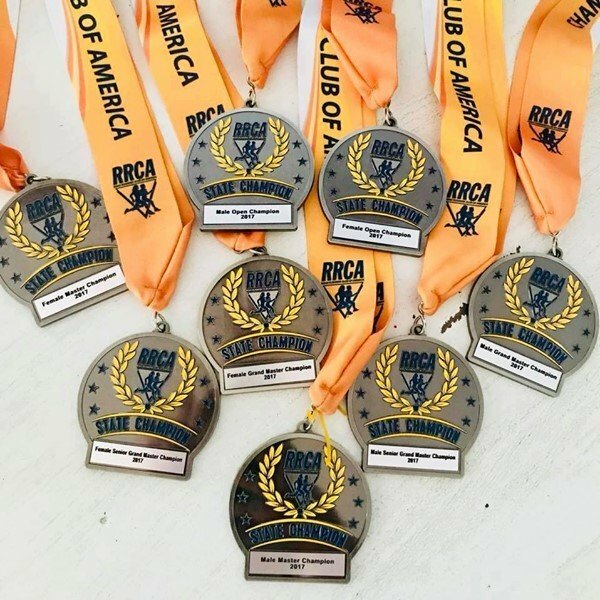 Scroll down for additional info on award medals, frequently asked questions and a sneak peak at the race shirt! 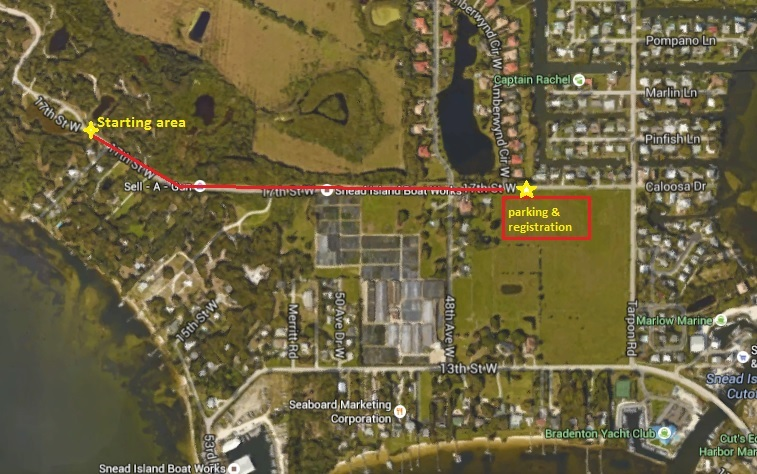 If you have any questions about this Manatee River Run 5 Mile State Championship, click the button below. See image for a (rough) map of the course. Plan to walk (or use the opportunity to warm up!) for 1/2 mile from parking and registration to the starting line. There is ample parking in the identified field. Restrooms are available in both the parking area and the starting line area. We recommend using the restrooms close to the start. Registration closes promptly 15 minutes before the race start. Q: How can I register for this event? Answer: You can register online anytime 24/7 up through December 27th. We do not have a mail-in option for registration. 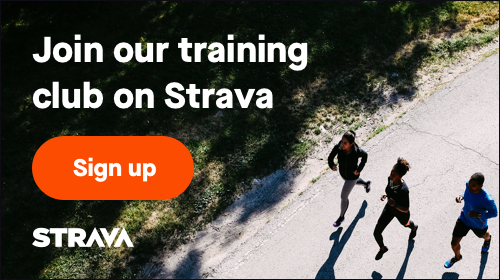 However, we do host several sign-up events prior to the race which include special offers and discounts for signing up in person. You can also register at the packet pick-up events and on race day. Sign-up events and packet pick-up dates, times and locations will be announced as they are confirmed. Q: How much is this event? Answer: Please review the Event Info section of this page for specific race fee schedule information. Q: Do BRC members get a discount? Answer: Bradenton Runners Club members in good standing will receive a $5 discount which will be applied at checkout. If you are not receiving your discount during the online registration process, please ensure you are logged into your RunSignUp account. You can confirm if your membership status by logging into RunSignUp and clicking on My Profile then locate the My Club Membershps section. Provided that your membership is still active and not expired when you register you will receive the discount. If you're still having problems receiving your discount at checkout, please contact RunSignUp at info@runsignup.com. The BRC discount will only apply through September 30th. Q: I'm not a BRC member, how can I get a discount on this race? Answer: We strongly encourage people to become a BRC member. That is the easiest way to save money on our races and also includes other benefits which will save you money. The membership more than pays for itself. Click here to learn more. However, we often offer discounts as part of our sign-up events that we hold 2-3 times prior to race day. The discount will be $5 for signing up at the event. Q: I'm not sure if I'm registered, what should I do? Answer: If you registered online or at an event, you should have received a confirmation email. Be sure to check your spam filter if you cannot find the confirmation email. If you think you may have deleted the email, you can search the Particpant List by clicking here. if you registered in person at a sign-up party, please give 48-72 hours to receive your confirmation email. Answer: We will be hosting two packet pick up events in the week prior to the race. Please check the event page for more information. Q: What if I can't attend a packet pick-up event? Answer: We strongly recommend all runners attend a packet pick-up event. However, we will have race day registration and packet pick up. Answer: We do allow friends and/or family to pick up packets. Anyone picking up packets for another participant will be required to show ID and provide a signature at the event. Answer: Most likely, yes. This race does have a 700 participant cap and our participant numbers grow each year. While we plan on having race day registration, there is a possibility this race will sell out. Also keep in mind, that only those who register online by December 21st are guaranteed a shirt. Certain shirt sizes often sell out and the inventory is updated in real time. We cannot guarantee a shirt to those who register at a packet pick up event or race day. Q: Where can I see results from the race? Q: I lost my bib/chip, what do I do? Answer: Bibs are chipped so if you lose your bib and attempt to run without it, you will not be included in the results. Please contact us as soon as possible so we can deactivate your old bib/chip # and assign a new one. Answer: Yes. We have never run out of parking at this event. However, please note the parking area is roughly a half mile from the start area so please plan ahead. Q: Is the course USATF certified? Answer: As of 2018, the course has not been certified. Q: Where is the starting area? Answer: The starting area is about a 1/4 mile into the entrance of the park. After you walk (or do a nice warm up jog!) from the registration/parking area to the park entrance, follow the sounds of the DJ. When you get to the DJ, stop and enjoy the music or drop your bag in the bag drop area. Then proceed further into the park to the starting area as instructed by the DJ. Q: Where is the finish line? Answer: The finish line is not far from the start and is located about 0.1 miles from the starting line. Check out the course map for more details. Q: Can my friends and family watch me finish or participate? Answer: There are a few points on the course where spectators can get a glimpse of the runners. Additionally, there is generally enough room for spectators to watch participants near the end of the race or at the finish line. However, for runners safety, spectators will not be allowed on the course while the race is still in progress. Answer: As a member of RRCA we observe all guidelines and recommendations related to safety. Strollers present a risk to other runners and are strongly discourage at our events. The Manatee River Run in particular has various types of terrain including soft sand, trails and some curbs that have to be crossed which makes it difficult for strollers. All participants must sign a waiver stating "If I violate the safety guidelines I accept legal responsibility for any injuries I may directly or indirectly cause to myself and/or others." Answer: As a member of RRCA we observe all guidelines and recommendations related to safety. Dogs present a risk to other runners and are strongly discourage at our events. Dogs and crowds often don't mix and are strongly discouraged at our events due to tripping hazards and unpredictable behavior. In crowded, unfamiliar places, even well-mannered dogs can become unpredictable and protective of their owner. All participants must sign a waiver stating "If I violate the safety guidelines I accept legal responsibility for any injuries I may directly or indirectly cause to myself and/or others." Answer: Headphones are strongly discouraged due to safety concerns and any participants wearing headphones during a race accept legal responsibility for any injuries caused to themselves or others. The use of personal music devices is strongly discouraged at this race. 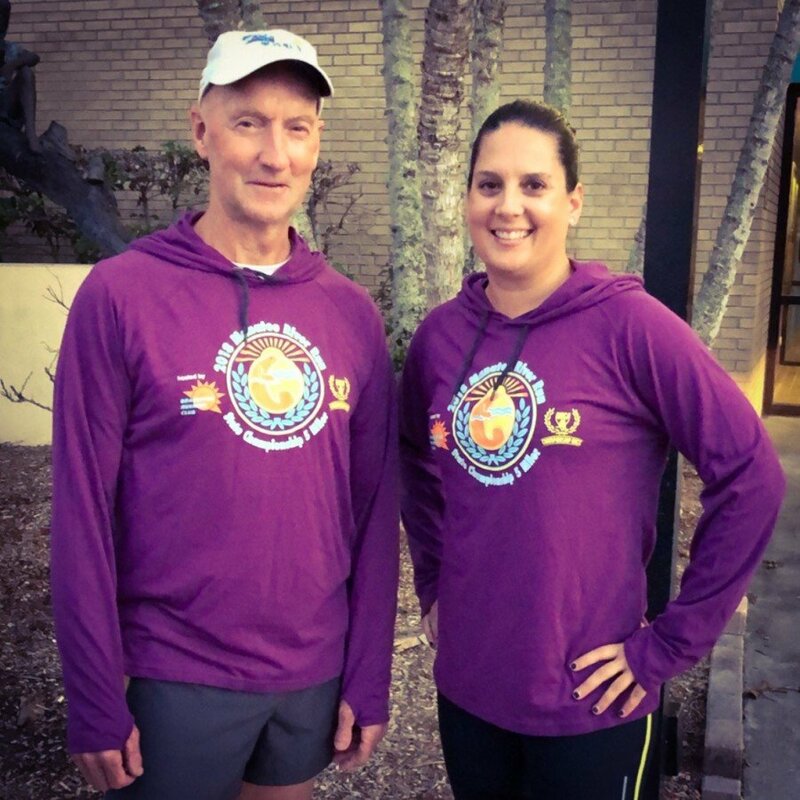 To enjoy all that our race has to offer and for the safety of all participants, The Bradenton Runners Club encourages a headphone-free environment during the running of the Manatee River Run. Answer: Registration opens at 6:30 am. It could take up to 20 minutes to pick up your packet. Then there is a 1/2 mile walk to the starting area. Registration will close at 7:45am. We strongly recommend all participants and spectators arrive no later than 7:15 to park, pick up bibs and walk to the park entrance. Answer: Yes. The timing will shut off after 1.5 hours. Q: Can I walk this event? Answer: Yes, although keep in mind this is a State Championship race so it is a competitive race, not a fun run. Walkers are permitted but must complete the course in under 90 minutes. Answer: Yes. there are two water stations. Each water station can be viewed on the course map, marked by a WS. Q: What are the age groups for the awards? Answer: The awards ceremony will take place near the DJ booth. If you cannot stay for the award ceremony, you may have someone pick up your award for you. Q: Is there a bag drop? Answer: Yes, the bag drop will be near the starting area and will be provided free of charge by one of our wonderful sponsors. Q: Who benefits from this race? Answer: The Bradenton Runners Club is a 501(c)(3) non profit organization. All of our races are hosted by our board members and generous volunteers. All of the proceeds from the race, after expenses are deducted, go to our scholarship fund and summer camp financial aid programs for Manatee County student athletes. We also provide financial assistance to local high school and track programs for gear and uniforms on a case-by-case basis. We give upwards of $7500 per year to local Manatee County student athletes. There will be registration available at packet pick-up. Registration will cost $40 and shirt sizes and quantities will be limited. This year's giveaway shirt is a lightweight soft polyblend drawstring hoodie with thumb loop features to keep your sleeves in place. Sizes featured in this picture are unisex large and ladies medium. Shirt sizes are limited so don't delay!